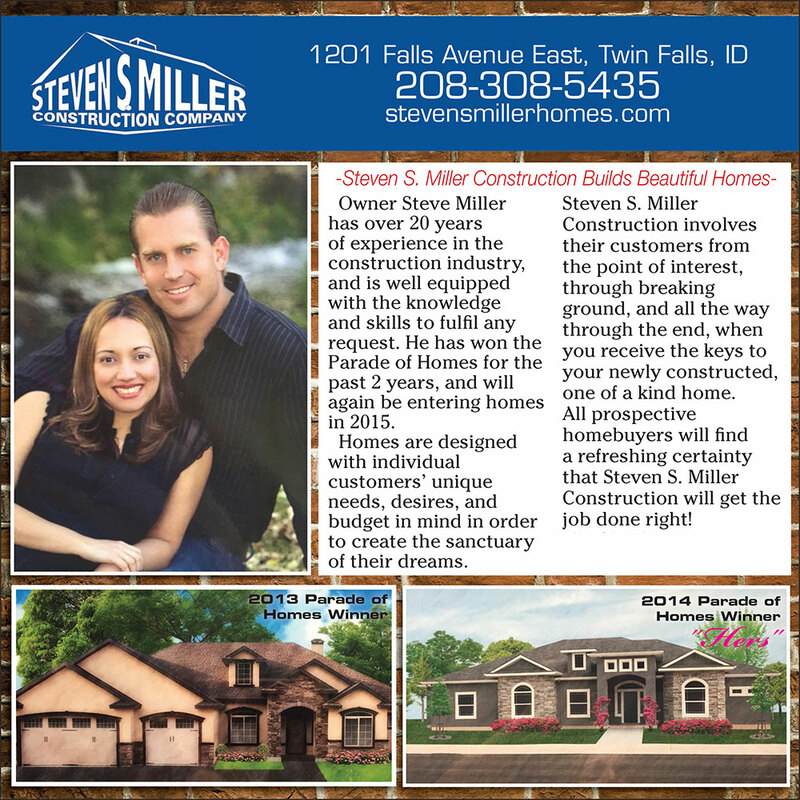 Steven S. Miller Construction builds quality custom homes in the Twin Falls area. With over 18 years of experience in the industry, Steven S. Miller Construction understands that your home is one the most important things in your life and we take pride in building your dream home. Our customers take a hands-on role in every step of the production process. Call us today and take the first step toward building your dream home!